Bojnice Castle (Slovak: Bojnický zámok) is a medieval castle in Bojnice, Slovakia. It is a Romantic castle with some original Gothic and Renaissance elements built in the 12th century. 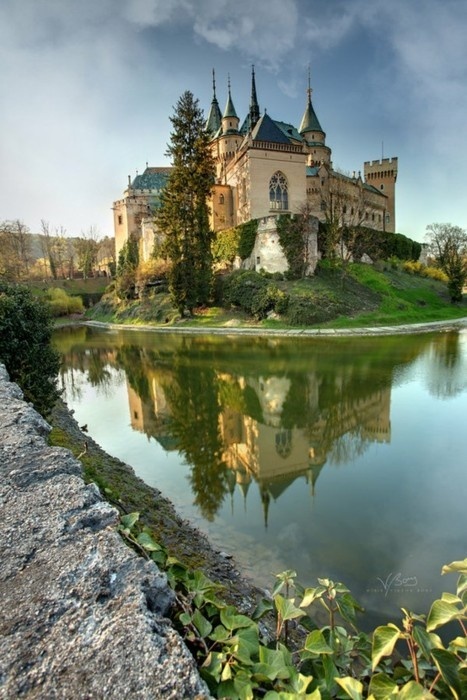 Bojnice Castle is one of the most visited castles in Slovakia, receiving hundreds of thousands of visitors every year and also being a popular filming stage for fantasy and fairy-tale movies. Finally, the last famous castle owner from the Pálfi family, Count Ján František Pálfi (1829-1908), made a complex romantic reconstruction from 1888 to 1910 and created today's beautiful imitation of French castles of the Loire valley. He not only had the castle built, but also was the architect and graphic designer. He utilized his fine artistic taste and love for collecting pieces of art. He was one of the greatest collectors of antiques, tapestries, drawings, paintings and sculptures of his time. After his death and long quarrels, his heirs sold many precious pieces of art from the castle and then, on 25 February 1939, sold the castle, the health spa, and the surrounding land to Ján Baťa (of the shoe firm Bata). The castle is renowned for its attractions, including the popular Castle Fairytale, the International Festival of Ghosts and Spirits and the Summer Music Festival. The romantic castle is also a popular location for filming fairy tale movies, such as Fantaghirò. In 2006, the castle attracted about 200,000 visitors. It hosts the single most popular museum in Slovakia and has featured in many movies. 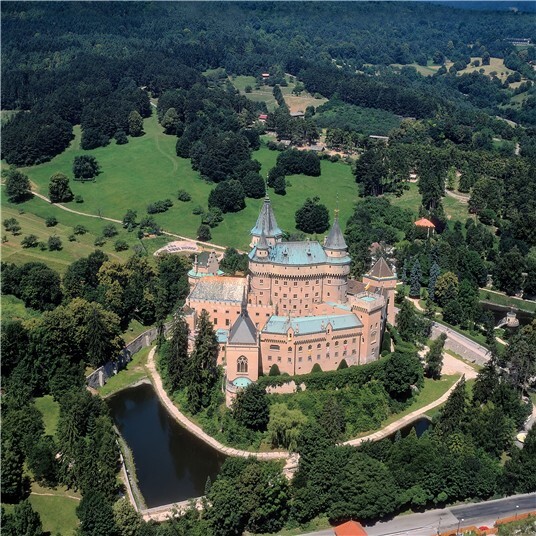 Bojnice Castle is surrounded by the castle park featuring numerous species of trees. The park also contains the Bojnice Zoo, the oldest and one of the most visited zoos in Slovakia. The castle park continues in the form of a forest park in the Strážov Mountains.